Singapore has been abuzz as the Presidential Election 2017 draws closer. The election, which is set to be reserved for candidates from the Malay community, has attracted considerable interest especially since establishment favourite Halimah Yacob finally announced her intention to contest the race last Sunday. Amid heated debate about the basis of the reserved election and the ‘Malayness’ of some of the hopefuls, two petitions challenging the Government’s stance on election-related decisions have been making the rounds. The first is an online petition calling for the election to be open to all races. In November 2016, Parliament announced new amendments to the elected presidential scheme and outlined that since there has not been a President from the Malay community for five consecutive terms, the 2017 election will be reserved for those from the Malay community. This decision has been decried by several prominent personalities who assert that this impedes free electoral process, with veteran politician Dr Tan Cheng Bock disputing the counting of the five consecutive terms through a constitutional challenge made in court. Dr Tan – who contested the last presidential election and lost by just 0.35% of votes – argued that if the AGC counts from President Ong Teng Cheong, Singapore’s first rightfully elected President instead of counting from President Wee Kim Wee who was an appointed president, this year’s election would not need to be reserved in accordance to the new amendments. His application was rejected and he subsequently filed an appeal to the Court of Appeals. A panel of five appellate judges oversaw his appeal hearing but reserved judgment for an undisclosed, later date. 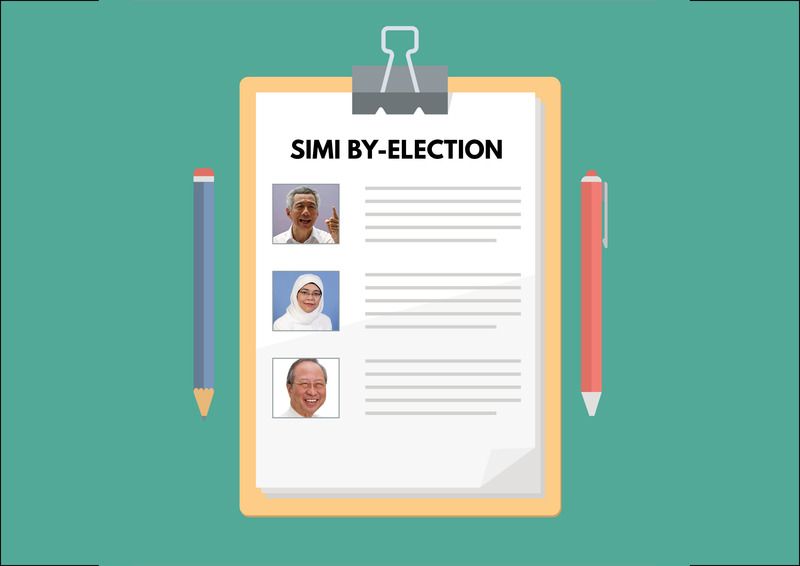 The online petition makes a similar call as Dr Tan – that the upcoming election should be open to all races. “I’m a true blue Singaporean & am thankful to be born here. Singapore is where it is today due to Good Leadership, Hardworking Singaporeans & most importantly Unity amongst the various races. “So, I was a bit surprised when the Government designated the 2017 Presidential Election to be a Reserve Election for the Malays only. Although the Government’s intention is noble to ensure multi-racialism enshrined in the Elected Presidency, many Singaporeans I’ve known are not in favour of it. The Head of State should be a unifying figure commanding the respect of all Singaporeans. This could only be done through free and unregulated elections. Too many requirements should not be imposed thereby limiting the aspirations of Ordinary Singaporeans that one day they could be Presidents as well. Meanwhile, Halimah Yacob’s decision to contest the election has also evoked the initiation of another petition. This one, set to make physical rounds in Halimah’s former constituency, Marsiling-Yew Tee GRC, seeks to compel the Government to call for a by-election to fill Halimah’s recently vacated minority Member of Parliament seat at the ward. Halimah resigned from her elected position of MP and from her role as Speaker of Parliament on Monday so she could contest the election. The Government has asserted that it will not call for a by-election to fill the minority MP seat, with Prime Minister Lee Hsien Loong commenting this week that he will appoint officials to the newly vacant positions. Despite criticism that elected MPs from other wards will be too busy to take on Halimah’s ward, Chua Chu Kang GRC MP Zaqy Mohamad was appointed to advise Marsiling-Yew Tee Grassroots Organisation on top of advising his own grassroots groups at Chua Chu Kang. Deputy Speaker of Parliament Charles Chong has been called on to act as Acting Speaker until Parliament deliberates and selects Halimah’s successor at the next parliamentary sitting, as well. Besides Chong, the frontrunners to fill this position are said to be fellow Deputy Speaker Lim Biow Chuan and former Deputies Indranee Rajah and Seah Kian Peng. Interestingly, Seah Kian Peng – a Marine Parade GRC MP – has skipped 60% (6 out of 10) of all parliamentary sittings this year. “All prepared and ready for Petition drive this coming Saturday, 12th August 2017. “We will be doing house to house visit in the Marsiling ward of former MP, Halimah Yacob, and explain to residents on the importance to call for a By-Election. “If you are a resident and a voter under Marsiling-Yew Tee GRC, and wants to sign the petition to call for a By-Election, do pm me for further details. 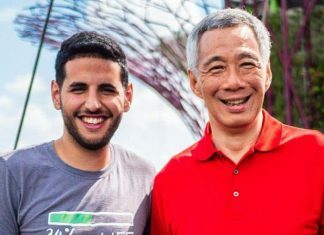 Abdul is a volunteer of the Singapore Democratic Party which previously said that it is considering legal action to spur the Government to call for a by-election. Calling the Government’s stance “an abuse of the system” and one that “makes a mockery of the general elections,” the party released a statement on its website last week, expounding that the fact that Halimah’s resignation does not necessarily trigger a by-election goes against the letter and the spirit of the GRC system.